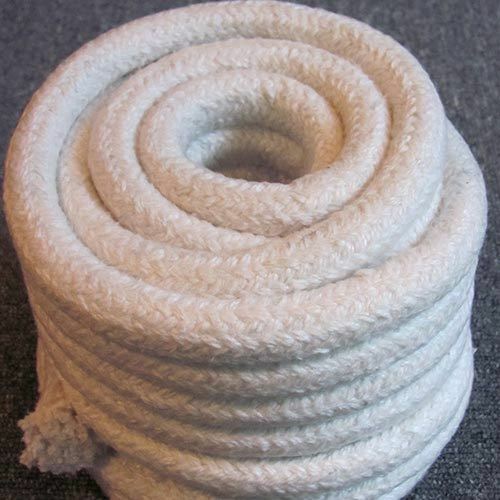 We are recognized as the prominent manufacturer and supplier of a wide array of Ceramic Braided Rope. This product is manufactured by using quality assured ceramic in line with set industry standards. Our offered product is highly demanded in the market due to its remarkable features. This product is rigorously tested by the quality controllers on various parameters to ensure its flawlessness. Clients can avail this product from us at most affordable prices. Incorporated in the year 2007, we “Shree Firepack Insulators Pvt. Ltd.”, have gained recognition as the leading manufacturer, trader, retailer, wholesaler, supplier, importer and exporter of quality assured a range of Asbestos and Non-Asbestos Product such as GFO Packing, PTFE Product and Ceramic Cloth etc. These products are designed with high precision using excellent quality asbestos and other allied materials with the aid of innovative technology in compliance with defined quality standards. The offered products are widely acknowledged among our clients for features such as fire resistance, lightweight, perfect finish, and flexibility. Our offered product range is widely demanded in Textile, Steel Industry, Automobiles, Chemical Industry, Sugar Industry, Foundry, Paper & Packaging, Industrial Machinery, Food Processing, Pharmaceuticals. We are offering our products under the brand name Paramount.